The main goal of GODTEL Ministries is to meet the deep inner spiritual need all men and women have for a lifechanging relationship with our Creator and Savior. To achieve this goal we utilize practical Christianity - providing the basic physical needs of the poor and homeless to get a hearing for the gospel message (two formal Bible studies daily and church on Sunday). GODTEL provides short-term housing for the homeless, on-site meals for the hungry, and clothing, household items, and furniture (when available) for those in need of these items. There is no monetary cost to the recipients of our services. All we ask is that they abide by the rules we have in place. GODTEL Ministries, at their three locations, meets the basic needs of each person that the Lord brings to us. These needs include washing clothes, meals, hotwater, personal hygiene, linens, and several other things. If you would like to help, check out the needs column below. 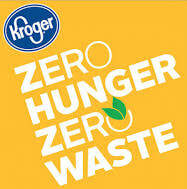 Godtel Ministries in Nacogdoches is very thankful to be one of the beneficiaries of The Kroger Company's Zero Hunger/Zero Waste Initiative.